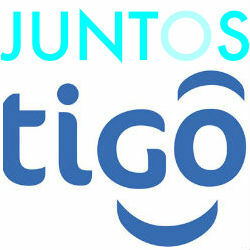 Juntos, a Silicon Valley company recently announced its partnership with Tanzanian mobile money provider Tigo Pesa, to provide new account support to Tigo Pesa customers through the Juntos innovative customer engagement platform . This agreement is the first step towards a plan to expand the Juntos platform to markets throughout Africa. According to Mr. Ben Knelman, CEO and Co-Founder of Juntos, “Tigo Pesa has established itself as one of Africa’s leading mobile money services and proved to be the ideal partner for our debut in Africa”. Mr. Ruan Swanepoel, the head of Tigo Pesa, also said at the event that “We are excited to partner with Juntos on this digital innovation, piloting this free service for our customers”. Juntos is a Silicon Valley technology company designing financial tools that drive engagement and usage of financial services among the newly banked. Africa has been at the forefront of financial inclusion through mobile money; there are 146 million registered mobile money accounts in Sub-Saharan Africa. However, only 61.9 million of those are active. In late 2013, the government of Tanzania pledged to increase the level of Tanzanian adults with formal access to financial services to 75% in the next six years.